Gemeinhardt 22SP with gold lip plate. This is a great Gemeinhardt flute, great for a student and beyond. Made in the USA, dependable with a clear, bright sound. 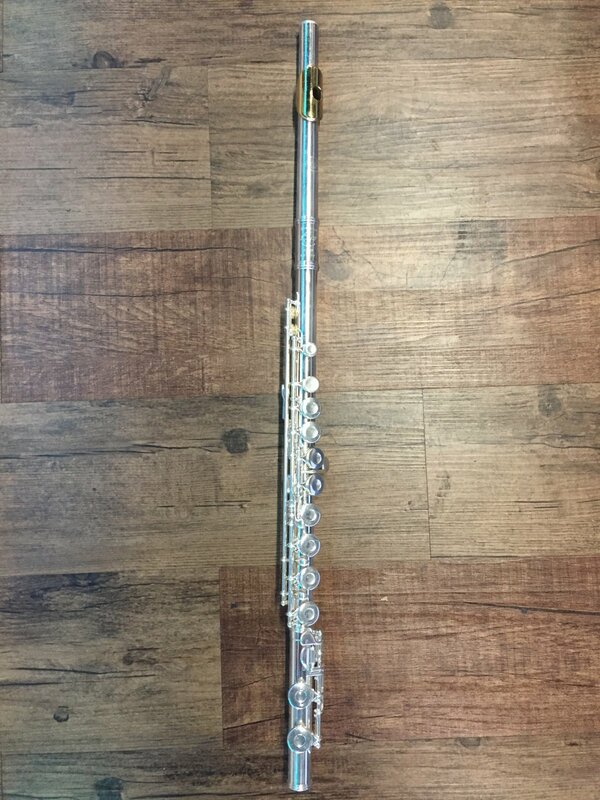 Flute has just been cleaned, oiled and adjusted by our technician. Plays amazing! Comes with case and cleaning rod.